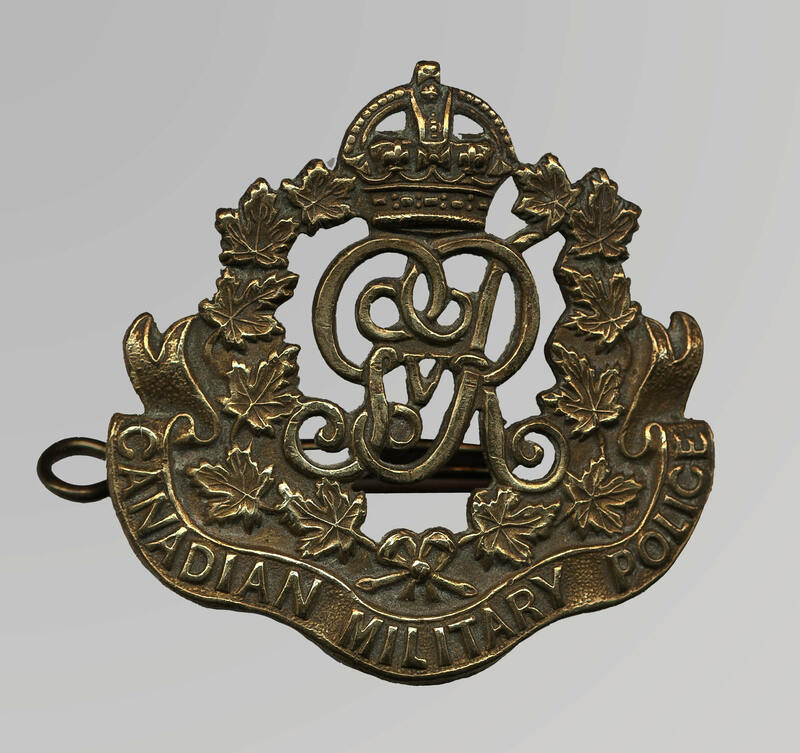 This cap badge identified a member of the Canadian Military Police Corps, formed in September 1917. It is of Canadian manufacture, but modeled after that of the British Military Mounted Police. There was no official police service in the Canadian military prior to 1914, but small police detachments, trained by British officers, served with most Canadian units overseas.